Live Life to the Fullest with Life Nutrition Core Essentials Range! Imagine a place where you can do the things that matter most in life better than you ever knew you could. Discovering this new reality can be as simple as providing your body with the nutrients it’s been lacking. Watsons, Asia’s number one beauty and health retailer, is proud to launch a new health supplement brand from the USA, Life Nutrition, which sources around the globe in search of potent and often rare ingredients to create powerful nutritional supplements like its signature Core Essentials Range to promote a more fulfilling and vibrant lifestyle. The range will be available at selected Watsons stores from October 2011 at affordable prices from $29.90 to $49.90! Since 1996, Life Nutrition is committed to bringing customers the most up-to-date and scientifically proven formulations that deliver genuine results. Hence, their formula has been designed to develop the most effective ‘all-in-one’ supplements to cater to the core essentials for men, women and children. They do this by adding more ingredients into a single product. All plants used in Life Nutrition products are NSF International Certified Good Manufacturing Practice (GMP) and Natural Products Association GMP certified. In addition, all products were awarded Free Sale Certificates from the Food and Drug Administration (FDA) of USA and the State of New York Department of Health. The brand also complies with quality standards from the Organic Facility and the US FDA Registered Facility. In addition, Life Nutrition has recently abandoned PET bottles which leave a large carbon footprint on the world and switched to using only recycled and recyclable materials for their bottles which are lighter and easier to carry around. 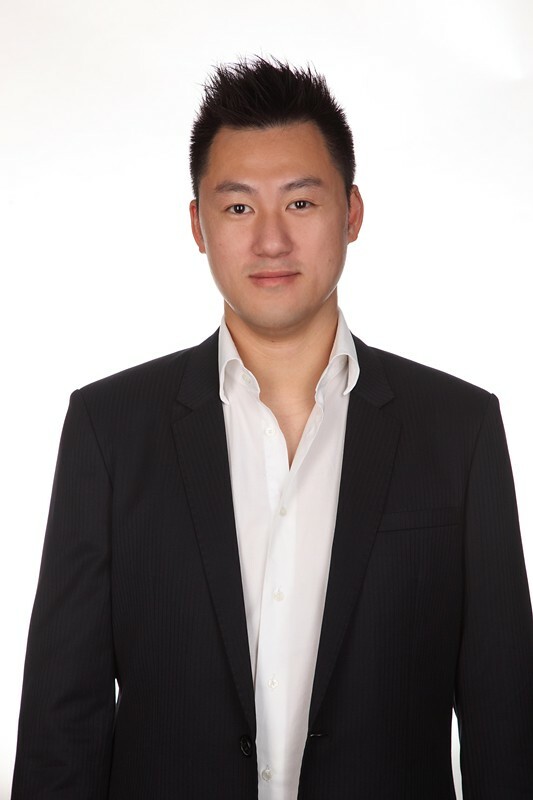 Mr. Bryant Shu is the Managing Director of Life Nutrition Int’l Co. Ltd, an American company currently expanding its Asian base from Hong Kong. Originated in 1996, Life Nutrition is a health supplement brand which sources around the globe in search of potent and often rare ingredients to create powerful nutritional supplements - such as its signature Core Essentials Range - to promote a more fulfilling and vibrant lifestyle. Mr Shu, who oversees all responsibilities for Life Nutrition, launched the brand in Hong Kong in 2011. - Efficient Natural Food: uses the best ingredients with high concentrated extracts. - Simplicity and Value: With just 11 products, Life Nutrition focuses on the bare essentials for men, women, and children, and has additional booster products for those that seek more health benefits. - Sustainability: Uses recyclable aluminum packaging which won the HSBC’s Green Excellence Award in 2010. Mr. Shu believes in a healthy sustainable lifestyle, with a balance of food, exercise and sleep. He is on the board of the Sports for Youth Foundation NGO in Hong Kong to promote sports to underprivileged children. The hectic pace of modern life not only affects the way we feel, but the way we look as well. By making the right dietary and lifestyle choices, it is possible to look your radiant best and improve your overall health, with surprisingly little effort. Infused with the right combination of vitamins, minerals, antioxidants and other vital nutrients, your body can defend itself against any illness, from common colds to heart disease and even cancer. Life Nutrition harnesses the incredible powers of some of the world’s most effective natural antioxidants and free-radical combating nutrients to create products like their signature Core Essentials Range. 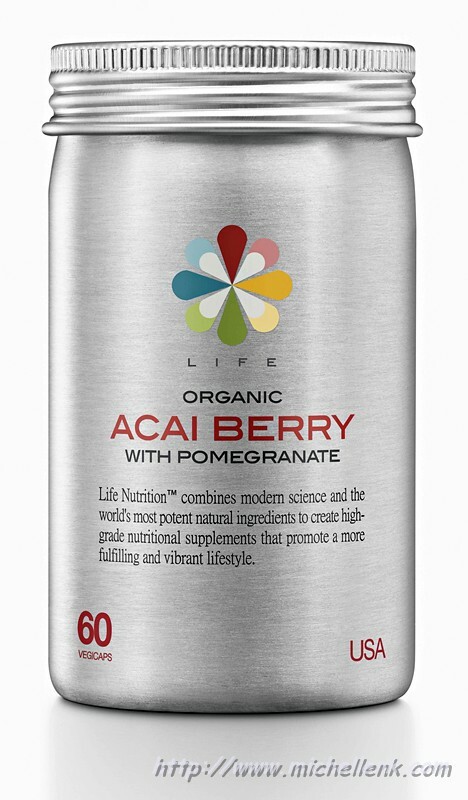 Boost up your immune system with the brand’s top-seller Life Nutrition Organic Acai Berry with Pomegranate! This vitamin-rich antioxidant effectively enhances your health, overall wellbeing and vigor to deliver better health, better sleep, more energy and reduced weight. It contains Acai Berry, which has been consistently named among the world’s top five ‘super foods’, and comes naturally packed with omega fats, amino acids, vitamins, minerals and 22-times the health boosting antioxidant power of blueberries. This all-purpose, once-a-day supplement is further complemented with Vitamin C, Folic Acid and antioxidant properties of Pomegranate. Retails at $49.90, 60 vegicaps. 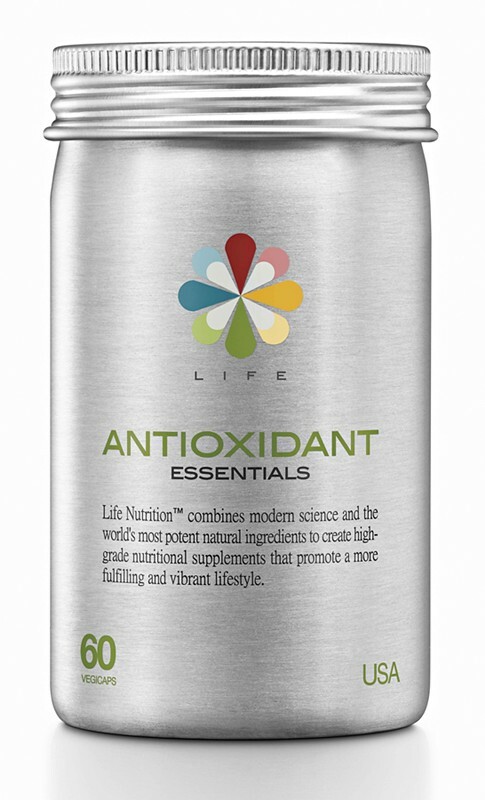 Fight daily environmental factors of pollution, pesticides, cigarette smoke and toxic elements with Life Nutrition Antioxidant Essentials. This powerful immune enhancement provides the body with the extra support it needs to win the daily war against harmful free radicals which attack the body’s cellular structure. To keep you at your peak, the health booster is enriched with an extraordinary arsenal of super antioxidants including Grape Seed, Green Tea, Ginkgo Biloba, Bilberry and Blueberry. Retails at $49.90, 60 vegicaps. For the active agers or joint paint suffers, fortify your joints with Life Nutrition Chondroitin Plus! Recent scientific research has pinpointed Chondroitin as a possible solution for joint pains. Chondroitin is a natural polymer that helps to maintain water within the cartilage and increases the elasticity of your joints so you can move more easily with less pain. The supplement also includes MSM to help restore tissue and aid rejuvenation, plus two natural anti-inflammatory agents called boswellin and turmeric to further reduce discomfort. Retails at $49.90, 60 tablets. It is important to protect your heart with a diet rich in essential Omega 3 fatty acids. 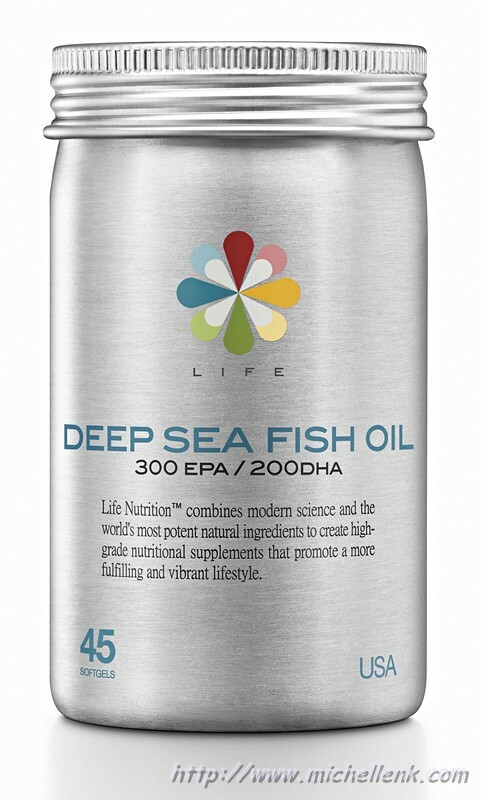 Do this with Life Nutrition Deep Sea Fish Oil whose formula is based on clinically recommended levels of EPA and DHA by the American Heart Association to reduce cholesterol and promote a healthy heart. The vitamin uses only the purest pharmaceutical grade of Norwegian fish oil which has been molecularly distilled to remove all impurities, toxins and heavy metals to provide an ideal solution for a healthier heart and lower cholesterol. Retails at $29.90, 45 softgels. The kids are not left out as well! Repeated scientific studies have shown that babies with higher DHA levels have better mental and visual function. 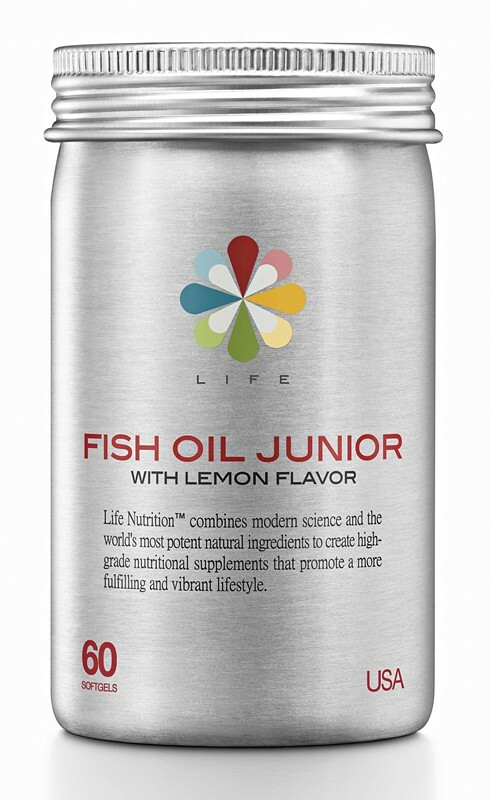 Try Life Nutrition Fish Oil Junior to promote healthy brain and eye development. This softgel contains pharmaceutical grade oil high in DHA from Norwegian deep-sea fish eyes which has been molecularly distilled to ensure it is free of any toxins or heavy metals. A zesty lemon flavor is also added to make the vitamins more palatable for kids. Retails at $29.90, 60 softgels. Processed food, pollution and stress, late nights and lack of exercise can leave you feeling tired, jaded and aging before your time. Life Nutrition has the perfect solution. 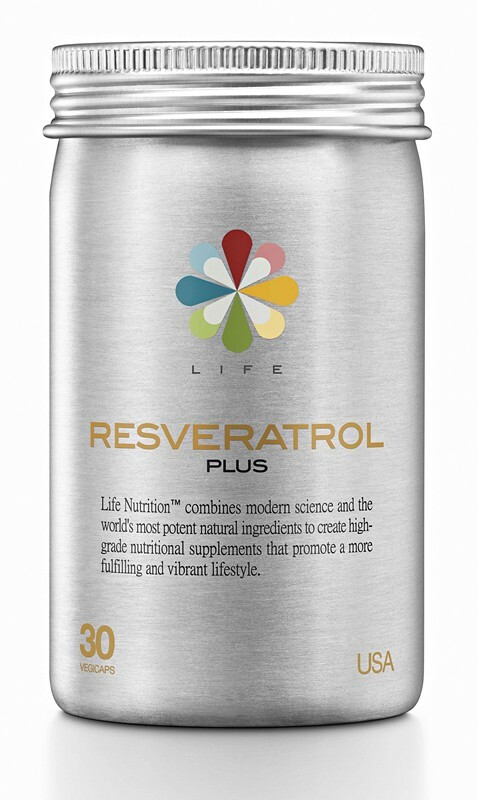 Opt for Life Nutrition Resveratrol Plus containing Resveratrol (found in Grape Skin) that activates the Sirt1 gene to protect you against the effects of aging. This heart-health supplement also protects against heart disease, cancer, diabetes and even encourages weight loss. Retails at $44.90, 30 vegicaps. Modern life places all sorts of stresses upon a women’s health. Your body needs natural cofactors, which synthetic vitamins lack, in order to absorb food properly. Equip yourself with Life Nutrition Women’s Everyday Plus! This scientifically balanced formula contains 24 vitamins and minerals and has 100% whole food for optimum absorption that women need everyday for energy and immunity. Retails at $44.90, 90 vegicaps. In today’s world you need to be at your best day in and day out. For men who need to be at their best, try Life Nutrition Whole Food Men’s Everyday Plus - a scientifically balanced formula of 23 vitamins and minerals which men need every day, from 100% natural whole-food sources so your body can absorb them fully for optimum stamina and energy and wellness. Retails at $44.90, 90 vegicaps. Get more out of life with Life Nutrition. Life is yours. Live it!